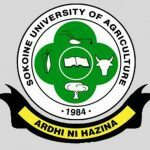 Sokoine University of Agriculture (SUA) hosts external to the University scholars who wish to conduct research in Tanzania as SUA Research Associates. The overall objective of this scheme is to enhance our collaboration with local and international researchers so as to improve the socio-economic development through basic and applied research. Thus, we welcome researchers who have research projects that safeguard both the academic and national interests. An applicant for registration as a research associate shall either hold a relevant Bachelor, Master or PhD degree, or an equivalent qualification from an approved institution of higher learning. If you meet the requirements Apply Online for Research Associateship or download Application Form for Research Associateship. You may suggest a Contact person at SUA, who will host you and ensure that the research is conducted as per SUA guidelines and preserve SUA and national interests. Bench fee of USD 80 per month. The bench fee will be charged according to the number of months of registration. This, fee to be used by the Department hosting the candidate, is designed to cover for the services offered by the department e.g. laboratory facilities (40%), contact persons fee (40%) and library services (20%). Applicants staying for periods of less than two months will be required to pay fees at half the Registration and Administration fees. But the application fee and bench fee will be paid in full.